February 4, 2019 — The U.S. 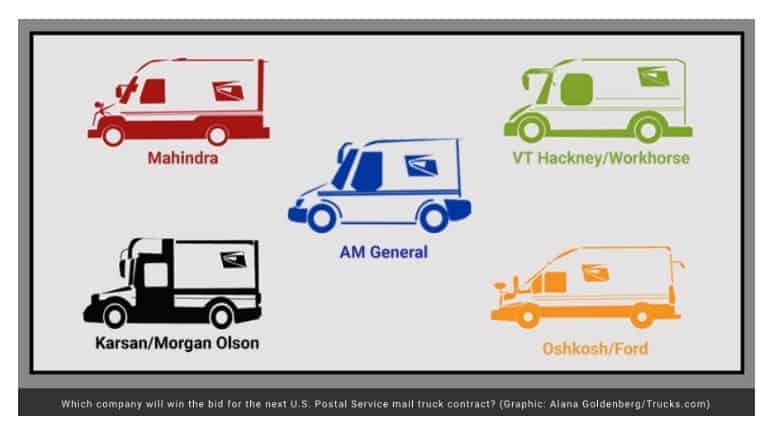 Postal Service said it expects to wrap up mail truck prototype testing for its Next Generation Delivery Vehicle program in the coming months and then will seek bids for an estimated $6.3 billion contract to produce the new mail truck. I’m a little confused. We were told by our rural union that no vehicles would be ordered and all orders were canceled. Was that only the ones intended to be used on the rural side? Why can’t we have mini-vans with front-wheel drive and AIR-CONDITIONING???????????? That would be a lot cheaper than any of the ones they are thinking of. Maybe before they design something they should come to a rural area that has mile-long lanes that have 1/2 foot of mud ! How about getting one the can deliver parcels!